Don't panic! Just pretend you're rich and keep those jewels coming! Welcome to Jewel Panic, a puzzle game where you must swap jewels around and match them up in horizontal or vertical groups of three or more to make them disappear, and score points in the process! As you clear jewels from the pit, more and more keep falling in to fill the gaps! Create bombs by making special lineups of jewels, and use these bombs to clear away jewels in desperate situations. Play the game in the more relaxed regular mode, or for more action, try the survival mode, where the bonus bar keeps decreasing at the bottom of the screen and you have to keep it from going empty. And if that's too	easy for you, there's the even faster expert mode for a real challenge! Back in 2007, I created a new title screen for Daniel Bienvenu's Jewel Panic game, which was planned as a re-release of his older port of Bejeweled. Daniel lost interest in this project, however, so in late 2010, I took it upon myself to encode my title screen into a demo ROM. After I showed this demo to Daniel, he gave me the original source code of Bejeweled and gave me full permission to modify it to my liking. I rewrote pretty much 100% of the software from scratch, mostly to make it easier to add features to the game. 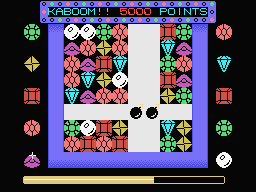 But the compiled software got so big that I decided to use my custom Activision PCB for this project, which allows me to not only create a 64K game (which allows me to include some background music and better sound effects), but also facilitate the saving of Jewel Panic's high score tables onto an EEPROM inside the cartridge. During the fall of 2018, I realized that it made little sense to continue working on the Jewel Panic project. 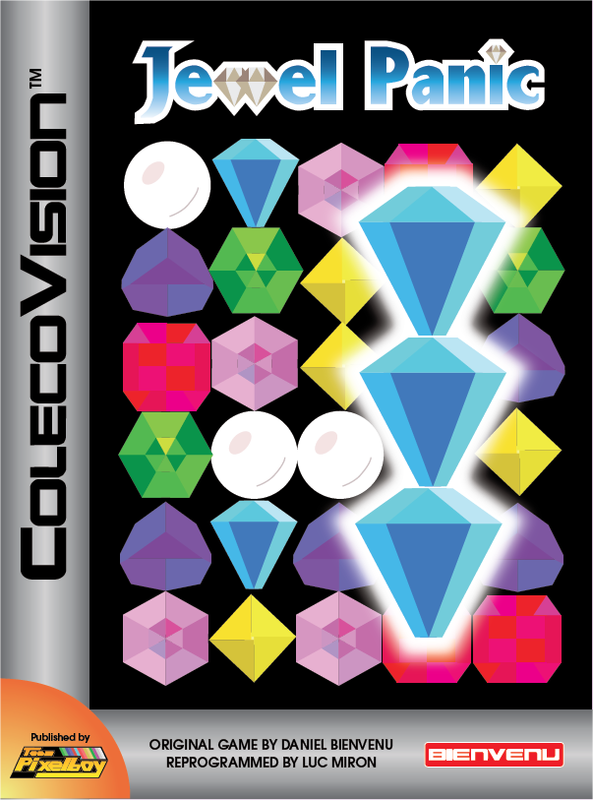 Originally, I wanted to code Jewel Panic myself as a learning experience towards coding other games in the future. But since I'll be retiring from all things ColecoVision at the end of 2019 (or more likely early 2020) there's really no point in programming the game myself. So I asked Mystery Man if he would be wiling to take over the Jewel Panic project, and he graciously accepted. 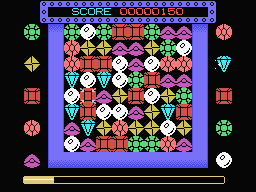 The real good news in all of this is that Jewel Panic will very likely be a more polished game as a result of being coded from scratch in Z80 assembly by Mystery Man, instead of being coded in C language by a relative beginner such as myself. I will be preparing a comprehensive design document during the winter of 2019, and Mystery Man will use this documentation to code the game later that same year. based on source code provided by Daniel Bienvenu. Software Software is to be completely re-coded from scratch. Manual No work done so far. Cartridge Casing The game will be offered in Activision-style casings (because this will be a 64K game with EEPROM savegame chip included). Cartridge Label Label template is ready to be printed.